Google and Huawei are offering to pay $9.75 million to settle a class-action lawsuit against it on the part of the owners of the Nexus phone 6P, which could mean $400 dollars for each one of the affected users. The agreement, which must be approved by the court before it takes effect, focuses on the problem of bootloop that caused the phones affected are back on track at random, regardless of the battery level. The lawsuit alleges that the actions of Google and Huawei violated the warranty of the device, and states that, although both companies were aware of the error, no company has taken measures to acknowledge it publicly, or stopped selling devices that could be victims of the problem. For the authorities to take a decision on the 9th of may, which means that any person who has purchased a Nexus 6S in the united States prior to September 25, 2015 can submit a claim, and the details on how to do this can be found in the document of notice of this situation. Please note that the eligibility for the claim is fairly rigorous, and it is likely that only those who are able to provide appropriate documentation of the error is approaching the limit of $400 dollars. Those without documents that prove the error probably will only be eligible to receive $75 dollars, while those who accepted the offer of Google of a Pixel XL in replacement will only be eligible to receive $10. Even so,it is worth a try. It is a sad ending for a device that was considered a good mid-range phone. 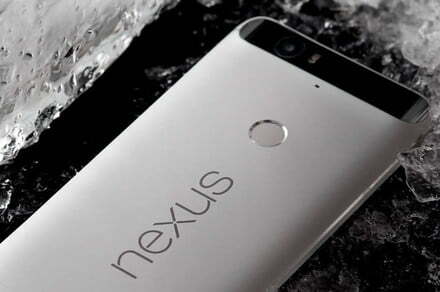 Created under the program, Google’s Nexus, which granted the licensing to the hardware manufacturers to create devices with Android in close collaboration with Google, the Nexus 6P was the result of a partnership between Google and Huawei, and resulted in a phone that was hailed as “the best Nexus”. Unfortunately, it was also the last Nexus, since the program was replaced by the range Pixel, which made Google take a firmer control of the reins of manufacturing and change the levels of prices to levels iconic. This is not the first Nexus phone that faces legal problems through bootloops. The Nexus 5, built by LG, also faced class-action lawsuits, while other devices LG also saw similar agreements due to the same problem. The hope is that this saga of problems for Android devices has finally come to an end, and that we have seen the end of the dreaded bootloop.